There is an area of my yard that is referred to as “the paddock“ because it was once intended to be an animal paddock. Over time, it has become the area where I move toward permaculture, with more and more perennial edibles accumulating there. The whole area is kept in a deep mulch, and tends to stay moist enough for growth even in our desert summers. One of the most decorative plants growing there is seakale, a maritime perennial that tolerates our alkaline soil. It is very hard to start from seed, and the four plants that have prospered over years for me are those that I paid a small fortune for as plants from a specialty nursery. If you want seakale, make the investment in getting good plants. Once settled, I am told that they can live 20 or 30 years or more. They are very pretty in a quiet way, with nothing dramatic or show about them but pleasant to the eyes in most seasons, except in the fall when mine get very bug-eaten. They are not recognizable at sight as a vegetable, and would pass muster with the strictest homeowner’s association. There was a time when I thought it would take me 20 years to learn how to use them. 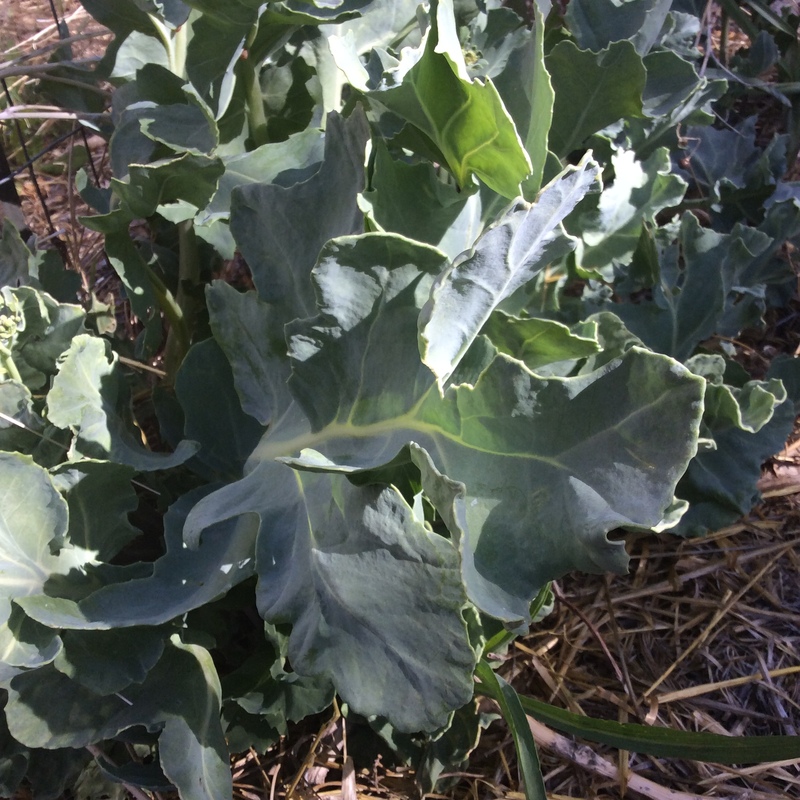 The leaves have a crisp succulent texture and mild flavor, and would be okay in salads, but each plant makes only six or seven leaves and if you take more than one the plant is likely to die. If you have 20 plants this might not be an issue, but if you have four, it is. 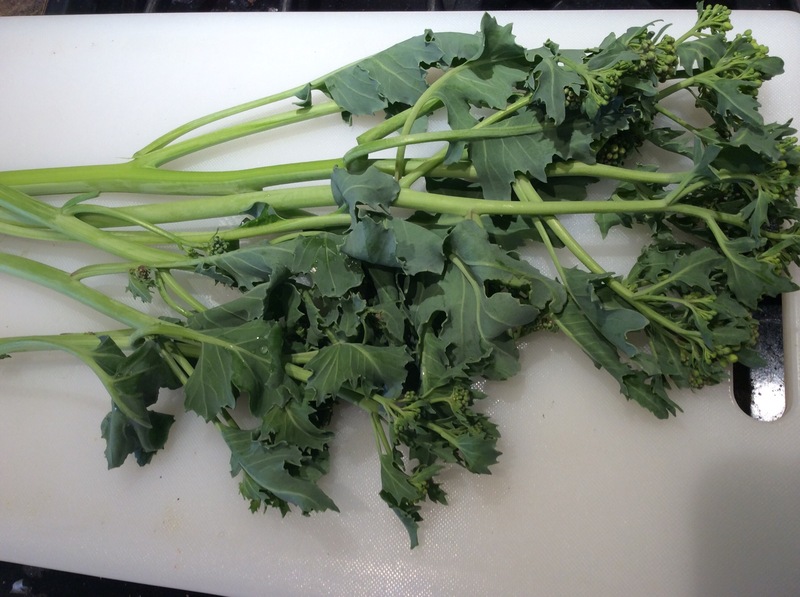 I read that the buds could be harvested as a broccoli like vegetable, and when I first tried this, they were tasty enough but very tiny indeed. From my four plants, I got enough for one small tasting dish, and no more. But this year I figured out that the bloom stalk is also tender and tasty. Harvest the whole stalk as close to the base of the plant as you can get without damaging any leaves. Do this before the flowers open, and it will just snap right off. The leaves on the stalk are fine to eat. The lower part of the stem has a tough fibrous outer layer, but it peels off very easily. Everything you have left, stems, leaves, and buds, is good to eat. Cut in half inch cross sections, cook in very little water until crisp tender, add salt and butter, and eat. Treated this way, each plant provides a nice vegetable side dish for two people. In British gardening books I have read references to seakale having a very strong and unpleasant flavor, but I have not experienced this at all with my own plants. The taste is mild, slightly herbal, and inoffensive. The texture is excellent. One question to consider is whether perennial vegetables are really worth growing, when annual vegetables are so good. 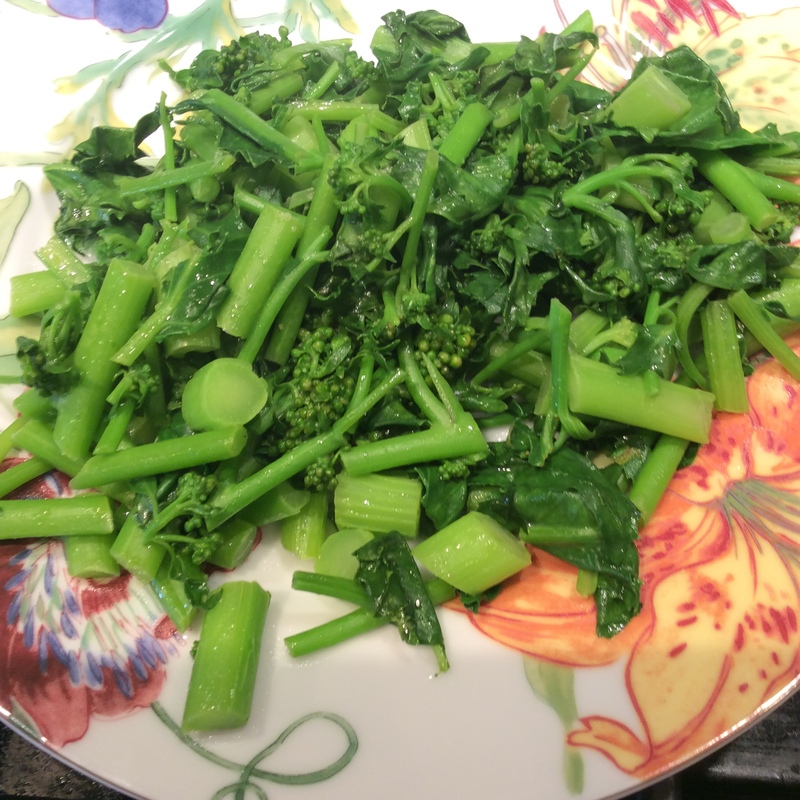 Broccoli fresh from the garden is one of my favorite vegetables in the world, and it would be pretty hard for anything to surpass it. But suppose that you couldn’t plant the broccoli. Suppose that age and infirmity made it impossible for you to garden the way you used to, or that an accident of fate left you unable to garden in the usual way, either temporarily or permanently. This has happened to me. Because of an orthopedic problem I was unable to do any annual gardening for two years, and even though I have been back at it full tilt for a few years now, I remember that time and remain aware that a slip, a fall, or a careless driver can put quite a crimp in your gardening career for a while. Fortunately, even at that time, I had a fair stock of perennial edibles and we still had things to eat from the yard. Of course, perennials also help prevent soil erosion, and undug soil can sequester carbon in a big way. The microbes and fungi that are so important in building and maintaining healthy soil will flourish in a perennial garden under mulch. But it’s also your insurance that, if fate deals you a blow that you weren’t expecting, your garden will go on producing. I can really relate to the inability to garden, having permanently lost mine quite some time ago. My gorgeous 50′ x 50′ garden is gone, but 4 crowns of tenacious asparagus (now 28 years old) are still producing. My husband solved the annual problem for me by building tables on which I have Earthboxes, but I’d love to give seakale a try (I’m sure he’d plant it for me.) I’ve never seen it in nurseries here, do you know of a reliable online supplier? I got my plants from the shop at Monticello; it was a favorite of Thomas Jefferson. They will also sell you the fearfully expensive pottery devices for blanching it, and let you know that without blanching it has a bitter flavor when cooked. I don’t get enough leaves to cook them, so I wouldn’t know, and I have not noted bitterness in the cooked buds and stalk. Thanks! Turns out I’ll have to pass, though, having seen the dreaded words “prefers well-drained…” Nothing here but hard, zero-drainage yellow clay. It was fun thinking about, though! Even if we aren’t ‘gardening challenged’ in some way, my mantra is ‘Work Easy’. It has stood me in good stead on several occasions due to unanticipated hiccups. Perennial vegetables are a great foundation in the garden!! It was hard for me to come around to “work easy.“ I would swear that my unconscious mantra in the past was “if there is a harder way, I’ll find it.“ What kind of perennial vegetables are you growing?